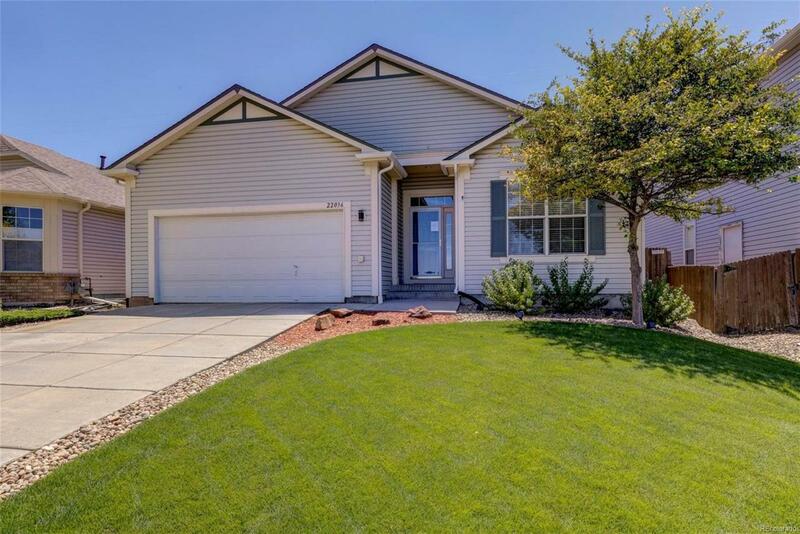 This IMMACULATE Ranch style home backs to open space and is bursting with pride of ownership!! Perfectly manicured front and backyards featuring a large concrete patio and mature trees! You will love the main floor living in this open floor plan! Spacious kitchen with built in microwave, smooth top stove, pantry and large eating space! Formal living and dining rooms! Main floor study plus three bedrooms including large master suite with bay window, big five piece master bathroom and nice sized walk in closet! Gorgeous partially finished basement with half bathroom! Roof was new in July 2012, newer 50 gallon hot water heater and central air conditioning! This pristine home has only had one owner and you will love the close attention to detail paid in keeping this home in tip top condition! This home has been beautifully maintained! Association Name Primary The Villages Of Parker Master Association Inc.